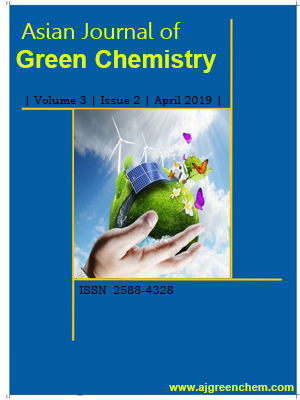 A novel and green methodology was developed for the synthesis of 5-substituted 1H-tetrazoles by [3+2] cycloaddition of nitriles with sodium azide in DMF at 100 °C in the presence of highly stable, water resistant and recyclable nonmetallic SO3H-carbon catalyst derived from glycerol. The methodology was extended for the preparation of different 5-substituted 1H-tetrazoles from arylnitriles having electron donating as well as electron releasing groups on the arene nucleus in good to excellent yields (85‒95%) under optimum reaction conditions. The catalyst was recovered using simple filtration and reused for five cycles without any loss of activity. The main advantages of this methodology are moderate temperature, easy purification of products, easy recovery, and reusability of the catalyst.